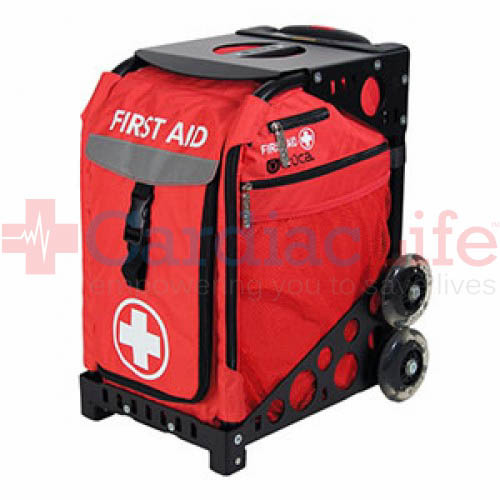 The MobileAid Multi-function Sports First Aid Station is a 262-piece mobile sport first aid kit that meets the National Center for Sports Safety standards. 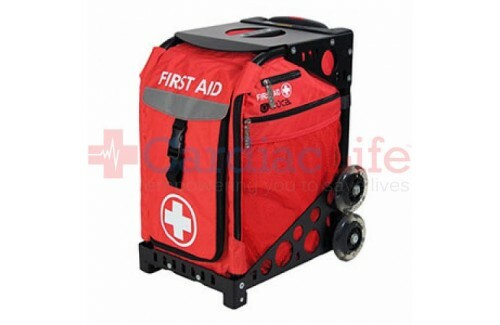 Telescoping handle retracts for compact storage in less than 2 cubic feet (12.25" x 18.5" x14.0") . (2) Cold pack unit 5" x 6"
(10) Sam finger splints 3 3/4" x 1 3/4"